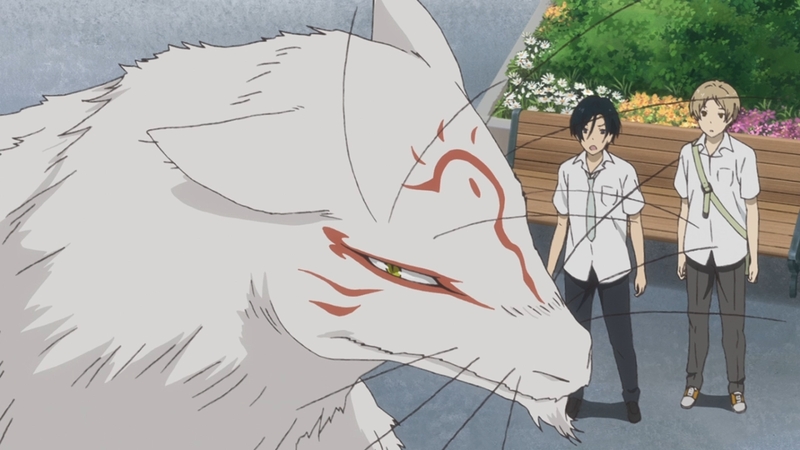 I really appreciate it when Natsume episodes can have pleasant surprises hidden away in them. This was another really strong episode in a series that is very consistent in having great episodes. Still, I was honestly worried at times how things were going to work out between Aoi and Kaoru. It just seemed a recipe for another very bittersweet episode. We’ve seen similar things happen before and so has Natsume. He himself noted how many times we’ve seen these sorts of things and how they often don’t work out. So I was bracing myself for all sorts of sad developments. Maybe a lot of time had passed and we were going to meet Kaoru’s daughter or something. Or maybe in the end Aoi wouldn’t leave his position. Possibly even the result of Kaoru losing her ability to see youkai. But, in the end we got a great end result. Of course there will be tears down the road. From the moment Aoi mentioned that I knew he was talking about himself. But I can say that about Natsume and all the youkai his encounters have lead him to. The lifespans of humans and the supernatural are just too different. We’ve seen a lot of cases of how harsh that can be for youkai. But, I’m simply glad that Aoi is willing to take that on. And to be sure it will be a difficult life at times. 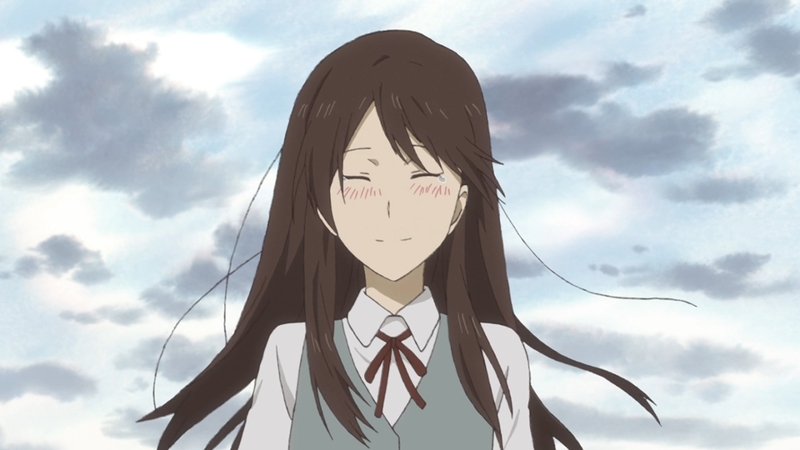 People may always see Kaoru as an odd woman who publically is never officially married. And certainly the possibilities for her having children are presumably shot. But in the end she chose to go down that road. Being with the one she loves matters more than the obstacles in her way. Honestly I have to give Kaoru a lot of credit for her courage. It was a bold plan, but I’m glad it worked out. It was pretty smart since really a youkai isn’t going to understand a lot of things. There was little chance Aoi would detect the trap and realize that it was very unlikely for Kaoru to get married as a third year. And yet I can’t blame her for turning to deception. Aoi was being stubborn himself and she didn’t have the ability to track him down herself. If numerous letters that were honest weren’t drawing him out then something drastic like her getting married was the last thing she could go for. 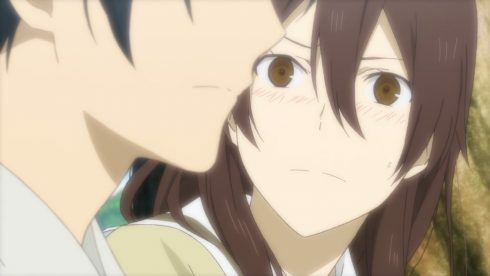 Not surprising that she had such an emotional reaction to Natsume showing up since it was a sign that her gamble had paid off. I did like how we got to see so much from both sides of this issue. We got to understand Aoi’s side of it and why he ended up leaving/running away. 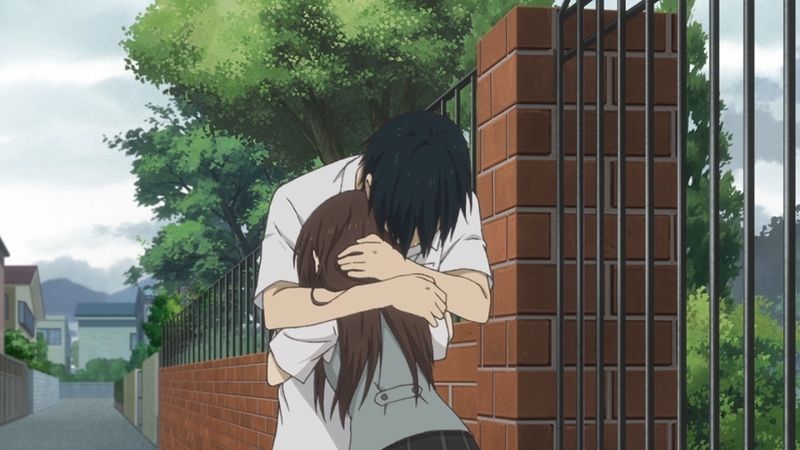 Then we got to see from Kaoru’s point of view how they met and the emotional buildup of their relationship. I can understand why Aoi pulled away, but also why Kaoru couldn’t let it go. While he was concerned about her position in society and her future, he can’t really decide what she does with her life. His concern for them both was understandable though. In the end even with the years they spent apart her feelings didn’t change in the slightest. And while Aoi was able to distract himself with his training it didn’t change his feelings either. In the end the choice was to spend what time they could together or be miserable the entire time apart. 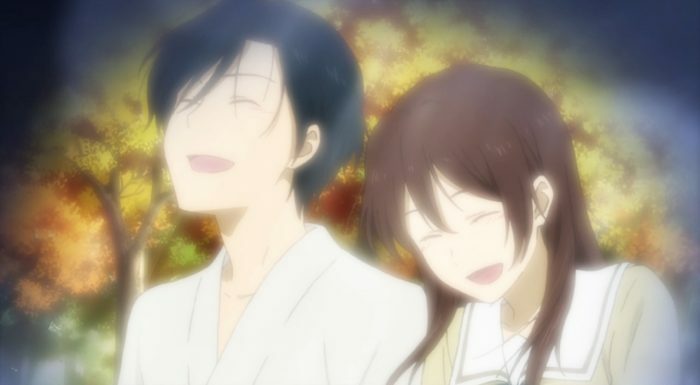 Not surprising to see how happy Natsume was by this result. He could understand the long term problems, but seeing people happy together is the best result. It is a continuous battle with the growing realization that the time he can spend with others is limited. That someday he’ll be gone and yet Nyanko-Sensei and the other youkai will continue on living. But at the same time he doesn’t stop interacting or caring. Instead he just makes use of the time he has. 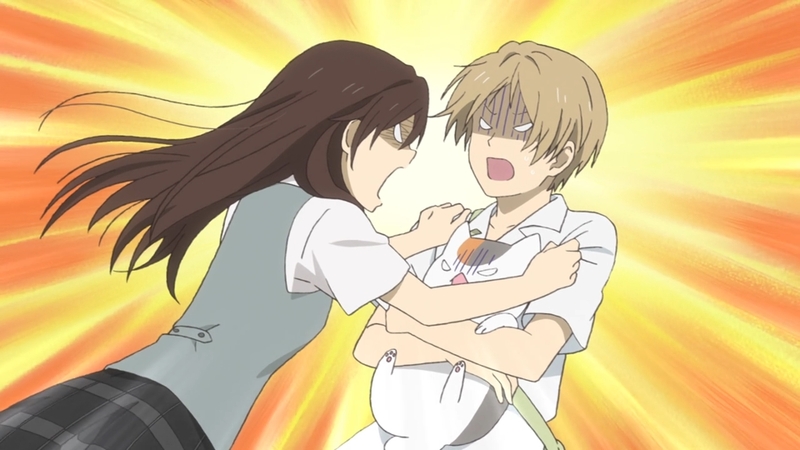 At this point the time Nyanko-Sensei spends with Natsume has nothing to do with the Book of Friends. And he knows what it will be like when Natsume has passed away, but there he remains. He made a fair point. Aoi found his special person. So now he just has to live his life with her for as long as he can. In the end I’m glad things worked out as they did. That things didn’t have a much more bittersweet feel to them was a great twist in my mind. We’re used to seeing things not quite work out, so it is refreshing to see them turn out just fine. Aoi and Kaoru will have ups and downs in their future, but it is a shared future now. A rough first impression in childhood turned into quite the touching romance. 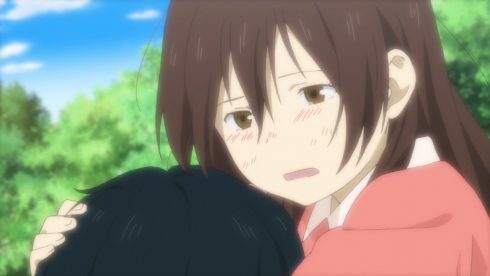 Though I’d love to have seen how Natsume explained that random outburst of his to Nishimura XD. Will also just say that this episode really lead into the ED quite nicely. The emotional feel of this episode tied in nicely to that ending song.